Simon G. Powell discusses his book Magic Mushroom Explorer: Psilocybin and the Awakening Earth. We apologize for the sound quality during the first three minutes of the main interview. 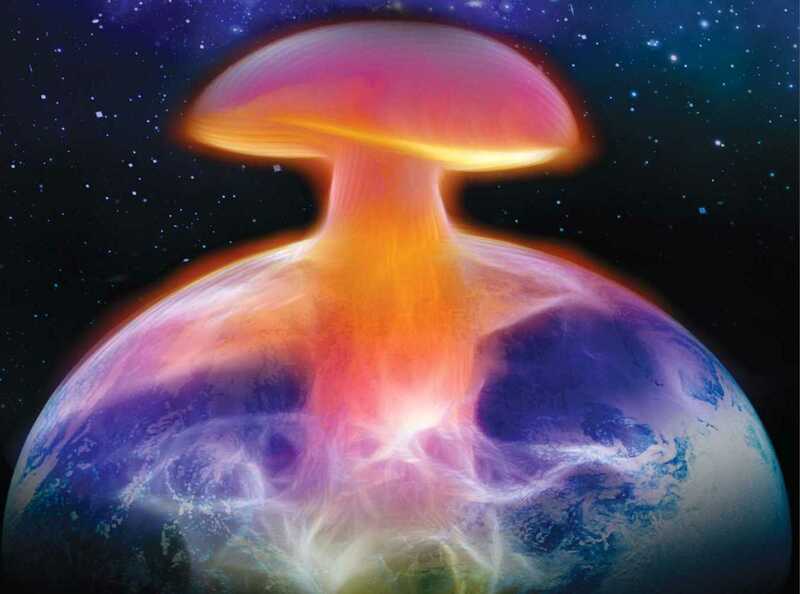 Psilocybin, the active ingredient found in psychedelic mushrooms, is an invaluable natural resource for spiritually awakening the human psyche and reconnecting us to the biosphere and the vast intelligence of Nature. Interweaving the most recent scientific studies in the United States and Britain, more than 25 years of sacred mushroom exploration, and behind-the-scenes details on the political wars against psychedelics, Powell offers a guide to safely navigating and maximizing the healing and spiritual potential of psilocybin. He explores the eco-psychological effects of wild psychedelic mushrooms, including enhanced biophilia, expanded awareness, mystical visions, and eco-shamanic encounters. He reveals how the beings and otherworldly teachers common in psilocybin experiences are actually emissaries from our higher consciousness that emerge when the floodgates of perception have been opened. He shares vivid descriptions from many of his own psilocybin journeys and shows how the mushroom offers a path of return to the ancient wisdom binding all life on Earth, a wisdom conveyed through tutorial visions and higher modes of perception. Illustrating psilocybin’s healthful properties, now acknowledged by mainstream science, Powell describes his activism in the fight to keep psilocybin mushroom use legal in the UK and shows that an irrational rejection of scientific evidence underlies the harsh war against psychedelic states of consciousness. Laying the groundwork for a new relationship with our biosphere, Powell shows how the Earth’s psychedelic medicines can reconnect us to the spirituality and wisdom of Nature and bring the human race back from the brink of ecological and existential disaster.